Many people using Google Sites don't know about their website's sitemap and don't find it even after searching on the internet and they probably have to make it themselves. In this article, I will tell you where to find your Google Sites website's sitemap. The users don't know the fact that Google Sites has already made a sitemap for their website, which they can easily use in bringing traffic to their site by submitting it to Google Search Console or Bing Webmaster Tools. You simply needed to add "system/feeds/sitemap" at the end of the address of your website and you can easily get your website's sitemap. The sitemap of a website when submitted to Google Search Console and Bing Webmaster Tools helps a lot in driving traffic to your website, because in this way Google and Bing search engines can know about what your website contains, including your sites pages and links. The google and bing bots will soon index your website's pages. This traffic depends on the content of your website and your site's SEO, which helps drive Search engine traffic to your website. The best thing about search engine traffic is that these people are basically interested in your content and you get this traffic absolutely free. 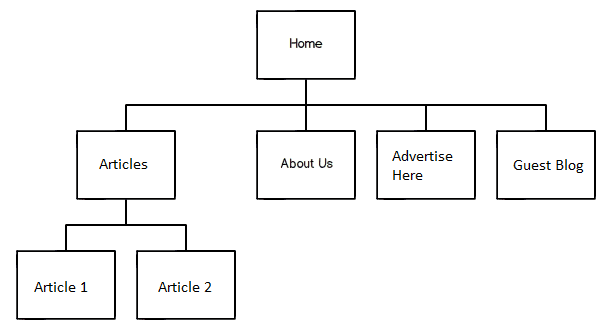 Hope you liked the article, now you know about your Google Sites website's sitemap. Don't forget to follow my blog Ali Khan Blogs on facebook & Twitter.